Nice atmosphere and a whirlpool of interesting topics best describe the cybersecurity conference "Cyber Chess 2017" which gathered more than 500 IT specialists and guests at hotel Radissonblu Latvija this year. We, too, had the honour to share our knowledge about log files and to give advice and suggestions. 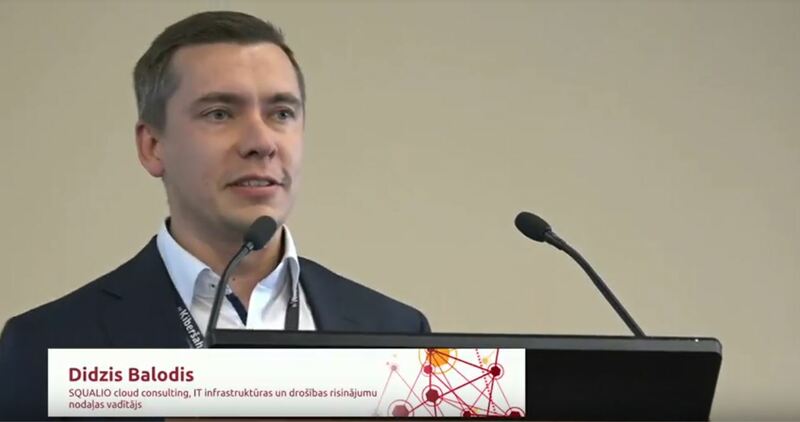 If you did not manage to listen to Didzis Balodis, manager of our IT infrastructure and safety department, talking about it, you can view the presentation or listen to the video in Latvian.